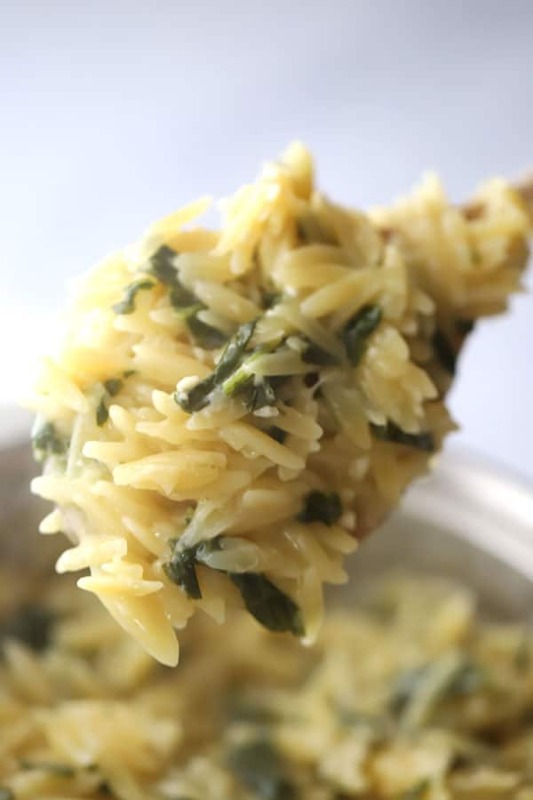 This garlic parmesan orzo is a delicious and easy side dish. It’s made with orzo pasta, spinach, garlic, and parmesan cheese. 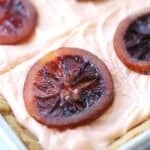 It’s quick to throw together and can be ready in just 20 minutes. What is Orzo? 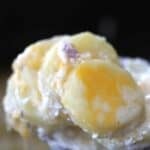 What is Orzo Pasta? Orzo is a type of short cut pasta shaped like a large grain of rice. It’s named Orzo because it’s Italian and the name means barley. Orzo used to be made from barley rather than wheat. It’s the perfect base to this orzo and parmesan recipe. Orzo, rice-shaped pasta, is very versatile. It can stand up to many different types of cooking. You can boil and drain off the liquid, you can cook it until the liquid absorbs, or you can cook it risotto style. 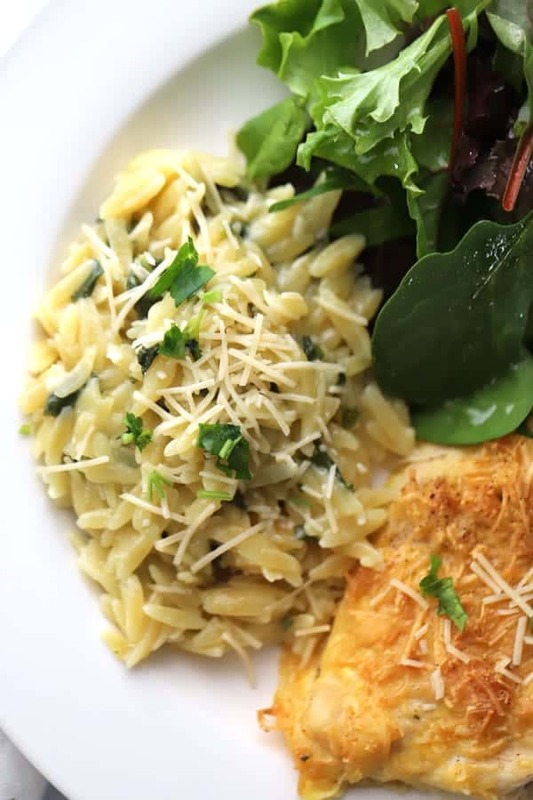 Orzo pasta works beautifully in this spinach parmesan orzo recipe! 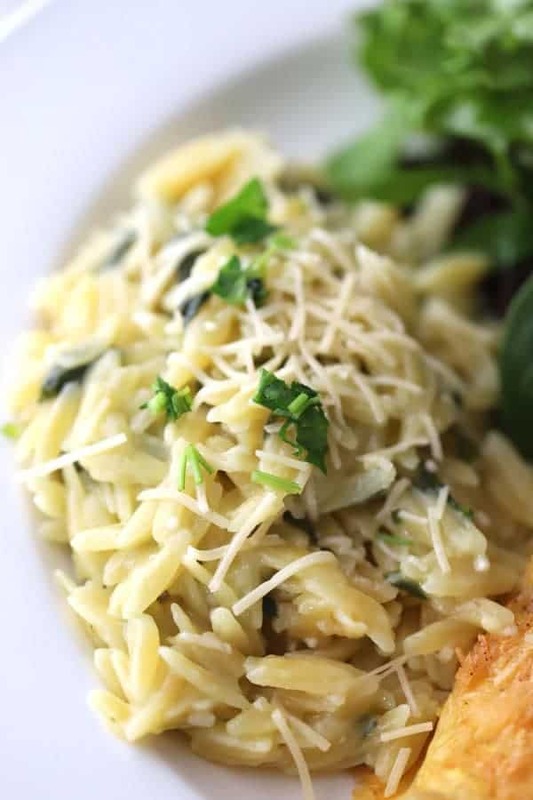 This orzo pasta with spinach and parmesan only take a few minutes to make. 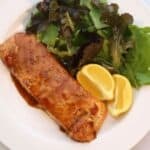 We love enjoying this recipe with a grilled chicken breast or grilled steak. 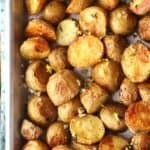 It only takes about 10 minutes to cook. This creamy garlic parmesan orzo can be made even creamier. 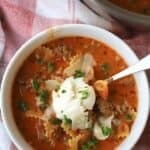 You can add a splash of cream after the pasta has cooked. 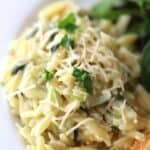 You will love this cheese garlic parmesan spinach orzo. 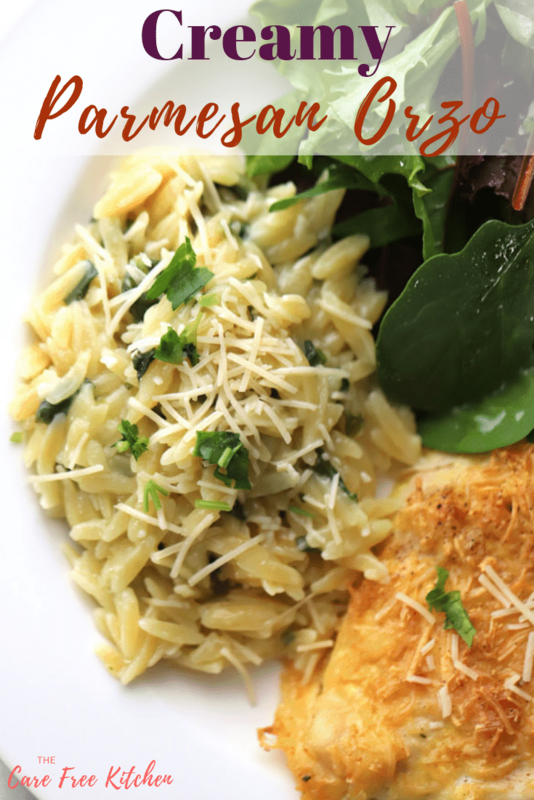 Creamy spinach parmesan orzo is the perfect side dish to these other delicious recipes. Melt butter and saute the garlic for a couple of minutes before adding the other ingredients. Stir the parmesean orzo pasta every 2 minutes while it cooks to make sure the pasta doesn’t stick to the bottom of the pan. Instead of cooking the pasta in water, use chicken broth. It makes the parmesean Orzo have even more flavor. If you love it extra creamy, add a splash of cream in the pasta after it’s finished cooking. This garlic parmesan orzo is a delicious and easy side dish. It's made with orzo pasta, spinach, garlic, and parmesan cheese. 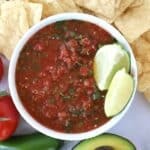 It's quick to throw together and can be ready in just 20 minutes. Cut spinach into 1/2" slices and set aside. In a medium-sized saucepan, melt butter. Add the garlic and stir until garlic is fragrant and just starting to turn a darker color. Add the chicken broth, spinach, parmesan cheese, salt, and Orzo pasta. Stir lightly and cover with a lid. Turn heat to low and Stir every 2 minutes. Cook the pasta a total of 8-9 minutes. The cheese should be melted and the pasta cooked al dente which means firm but not hard in the middle. There should be a little chew in the pasta. Take off the heat and cover with a lid for a couple more minutes. This will allow the pasta to soak up the rest of the liquid. If desired, sprinkle a little more parmesan on the top and some fresh minced parsley too. Enjoy!